Nowadays most of the people prefer doing projects on their own. And there are two main reasons behind it. Firstly, you do not have to pay high fees to professional to complete simple project. Secondly you have freedom to modify project according to your wish. So today, team of homestuffpro brings you list of best dewalt table saw. After hours of testing various models, we find below 8 dewalt table saw are best among the rest. Why we are totally focusing on dewalt table saws? Well, the reason behind it is quite simple. It is because of their built-up quality and solid performance.You can check out our best table saw reviews from all brands. However, dewalt holds strong brand name in woodworking and construction industries since long time. And at the end we all want quality work for the money we invest. 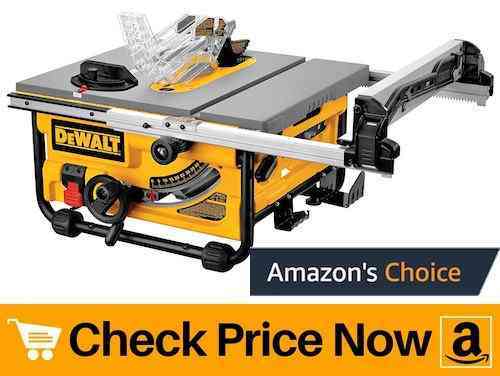 So we present you with our 8 best dewalt table saw reviews of 2019. Having a sturdy unit is must specially if you’re working on a jobsite. 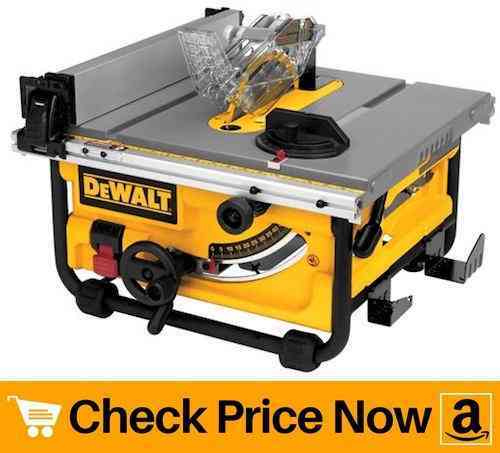 So first on our review list comes dewalt table saw DW745 which is perfect for jobsite woodwork. Thanks to its compact design which allows user to carry it from one jobsite to another. But in spite its small size, dewalt DW745 offers 20 inches of rip capacity. In addition to that, it features rack and pinion fence system that makes fence adjustments fast and accurate. Whereas, its high-torque motor spins at a no-load speed of 3850 rpm for quick and cleaner cuts. Dewalt table saw DW745 features a maximum cut depth 3-1/8 inches at 90 degrees. Whereas it goes down to 2-1/4 inches at 45 degrees. Apart from that, coat on table surface reduces friction and makes sure wood glides through the blade smoothly. 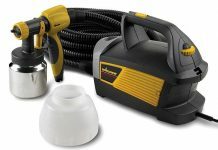 A 2-1/2-inch dust collection port allows you to connect dewalt DW745 to a shop-vac. This in turn makes cleaning afterwords a breeze. Plus, it comes with all necessary tools that are responsible for perfect and safe woodworking at job site. Accuracy and smooth working matters most for contractor. 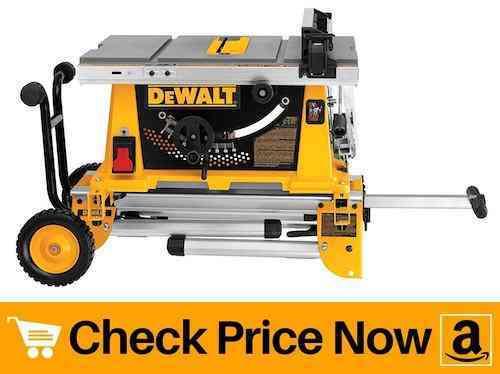 So we have this dewalt DWE7491RS 10-inch table saw for serious woodworking projects. First of all, this dewalt table saw is dado blade compatible. You can change blade according to the material to cut wider groove. And in order to make all your measurements fast and accurate, it features rick and pinion fence system. Let us not forget to mention its large ripping capacity of 32-1/2 inches that easily cuts large sheets of plywood. Dewalt 10 table saw features a 2-inch dust collection port that easily connects to a vacuum for efficient dust extraction. 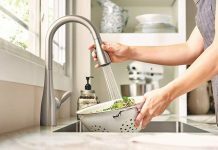 This way you do not have to spend much time in cleaning afterwards. Furthermore, the unit comprises of a rolling stand for easy setup and breakdown with excellent stability. And greater stability means smooth gliding of wood and cleaner cuts. Dewalt’s 10-inch 24-tooth carbide blade equally helps in cleaner cut of wood. Thus, all of its features makes DWE7491RS perfect choice for ripping sheet material, framing lumbar and cross cutting 1X material. Woodworking becomes more fun if safety and portability of the unit goes hand in hand. And this dewalt table saw is both safe to use as well as compact in size. Due to its compact design and less weight, it stands as one of the best dewalt portable table saw. Despite its small size, it offers 24-1/2-inch ripping capacity. With this much large rip capacity you can easily cut variety of materials other than wood. 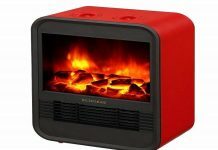 In addition, it comprises of a 15 amp motor with 4800 rpm that smoothly cuts through wood in seconds. Weighing only 45 lbs, dewalt table saw dwe7480 is perfect for contractors working on contract basis. And similar to above units, dwe7480 also compsies of rack and pinion fence system for faster fence adjustments. Furthermore, on-board storage gives you easy access to guarding components and push stick when not in use. You also have option to adjust blade to 0-45 degrees for bevel applications. Therefore, dewalt table saw DWE7480 is perfect for carpentry works. Next on our best dewalt table saw reviews we have another portable unit but this time with stand. In case you do not wish to use stand, then it is very simple to remove it. On positive side, the stand is completely loadable making the unit easy for transportation. Also, weight of the dewalt 7480 table saw is just 48 lbs. Therefore, lightweight and folding stand of unit makes it fall under best dewalt portable table saw list. On the other hand, table coating reduces friction for smoother cutting. So one sure thing about this table saw is you’ll get your work done smooth and quick. Thanks to its 24-tooth carbide blade that enhances cut quality and prolongs blade life. And greater the quality of cut, more clean will be end results. 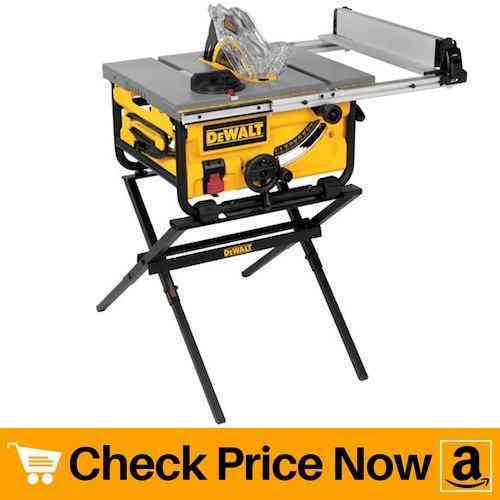 You can even make use of this dewalt portable table saw to rip hardwoods that too with ease. Let us not forget about its excellent cross-cutting capacity and cut depth. Hence, it offers 3-1/8 inches deep cut at 90 degrees. Whereas depth of the cut goes down to 2-1/4 inches at 45 degrees. And for easy clean-up after work, it comprises of 2-1/2 inch dust port. Here comes a budget friendly product for DIY enthusiasts and serious wood workers. The dewalt table saw dwe7490x is perfect for wood working activities such as ripping floor boards, installing cabinets, working on hardwood floors, ripping deck boards as well as cross cutting 1X material for framing book shelves and ripping framing lumbar. Along with that, dewalt 10 table saw is dado blade compatible. However, you need to buy dado throat plate in order to use dado set. Just like all above units in our best dewalt table saw review list, this one also features telescopic fence rails. This rack and pinion system simply makes adjustment of fence fast and accurate. As a result, it saves lot of time that you would probably spend adjusting fences. Furthermore, it also has a flip over fence which allows for narrow rip cuts and telescoping fence rails retract to create a small, portable package. 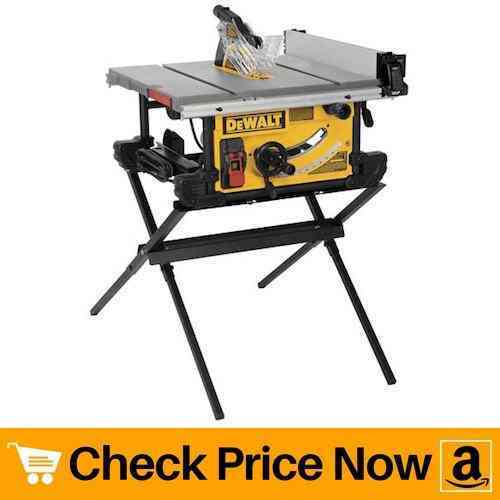 In short, this dewalt table saw with stand is best for contractors in terms of money. Tough performance and rolling stand of this dewalt 10 table saw makes it perfect for job site use. Not only is this unit great in performance but it is also portable. It gets its portability due to its heavy-duty wheels and folding legs. However, when upright, the stand puts your saw table top at an ideal 30-inches off the floor. This much height is good enough to keep your work at an ideal position. And when position of the table is good, work quality automatically becomes top class. The dewalt 10 table saw DW744XRS offers a huge 24-1/2-inch ripping capacity. In addition to offering such a large ripping capacity, this saw can cut dadoes up to 13/16 inches wide. So yes, this dewalt table saw is dado blade compatible. Also, it offers maximum cut depth 3-1/8 inches at 90 degrees and 2-1/4 inches at 45 degrees. 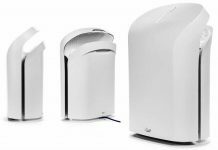 In order to make cleaning process fast, it comprises of a handy 2-inch dust collection port. Simply connect the saw to vacuum for efficient dust extraction and a cleaner work area. 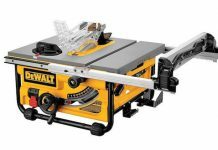 Till now all the dewalt table saw on our review makes use of electricity to run. But here comes dewalt cordless table saw that is perfect for home use. Don’t let cordless quality of the unit fool you with its ripping capacity. In spite of being cordless, it provides power similar to that of a corded tool. Thanks to its Flexvolt battery that automatically changes voltage when you change tools. Therefore, you can make use of same battery in various dewalt power tools. 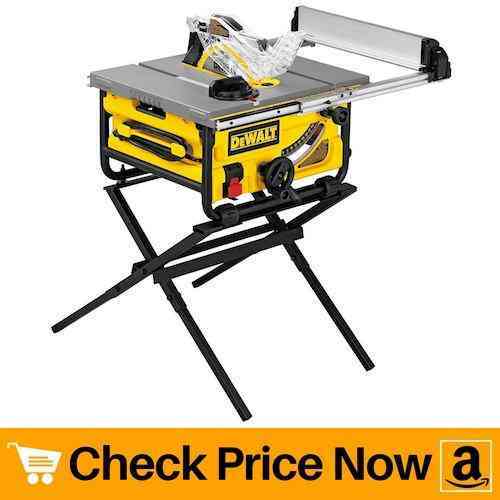 This dewalt battery table saw offers 24 inches of rip capacity for ripping 4X8 plywood or OSB sheets. Other than that, it offers a power-less reset feature. This prevents accidental re-starts following a power disruption when the switch is left in “on” position. This in turn helps to save battery when the unit is ideal. However, it offers maximum cut depth of 2-1/2 inches at 90 degrees which is quite less than that of a corded unit. But this much cutting depth is completely fine to do small to medium DIY home projects. 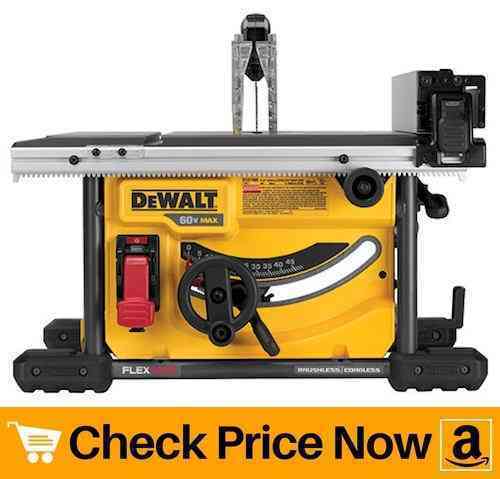 So conclusively, it is the best dewalt cordless table saw for DIY enthusiasts. The dewalt DW745S portable table saw with stand is perfect for people working on contract basis. First of all, it is light in weight and compact in size. While 22 kg of weight allows you to carry the unit from one place to another, it folding legs raises the machine to a comfortable height. Also, let us not forget to mention its powerful 15 amp motor that quickly rips through hardwoods with ease. In addition, its fence system provides 610mm of rip capacity in a portable design to cutting large wood sheets. 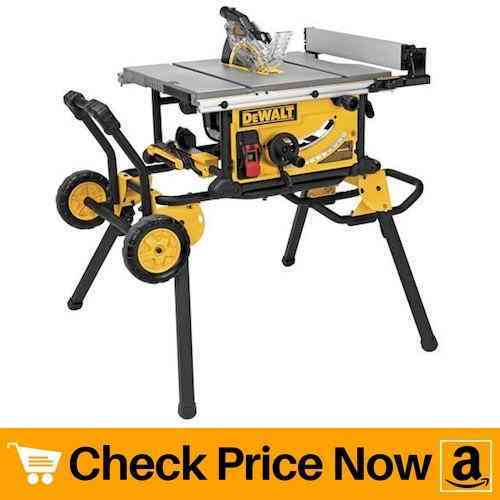 This portable dewalt jobsite table saw comes with all tools you need for woodworking. Also, its heavy-duty tube steel construction provides the strength you need for safe operations. Which concludes that the DW745S is both reliable and safe for job site use. Moreover, its metal roll cage base is far more strong than plastic ones. This metal roll cage holds the unit firmly while you rip wood for cleaner cuts. In short, this dewalt portable table saw with stand is perfect for small shop use as well as is budget-friendly. From dust collection to proper precision wood cutting they can do it all. These table saws are one of the best in market. Most of them are backed by multiple year warranty. Dewalt is one of the most renowned power tools and hand tools for the construction, manufacturing and woodworking company in United States(1). They have achieved the brand trust by providing high quality products and best customer support. These dewalt table saws are best in the industry and can increase your productivity.